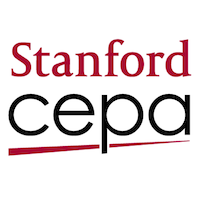 A new working paper released by the Center for Education Policy Analysis at Stanford University in California, finds that gender bias creeps into online education programs. Researchers created fake accounts for students in 124 massive open online courses (MOOCs). The names associated with the accounts were designed to give a strong indication that students were either White, Black, Indian, or Chinese. The names also indicated the students’ gender. These fictional students submitted online posts or questions to the instructors. Only 6 percent of White women had their inquiries addressed. This was half the rate for White men. For students whose named suggested they were Black, Indian, or Chinese, women were more likely than men in their ethnic group to receive a response from instructors. Yet, the rate of responses to these women was still significantly below the rate for White men. The full report, “Bias in Online Classes: Evidence from a Field Experiment,” may be downloaded by clicking here.